For "Dry Sea" Sabine Kacunko, in cooperation with international scientists, created image files of experimental desert varnish production attempts using a microscope. 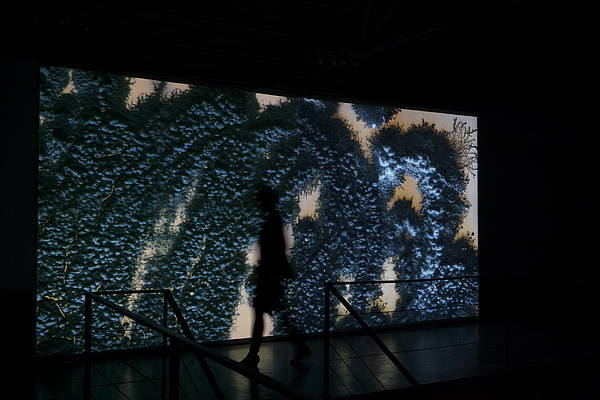 These image files are the source material for the interactive spatial installation "Dry Sea" The microcosm of desert varnish is rear-projected on a screen whose proportions in the exhibition space remind of a wall. 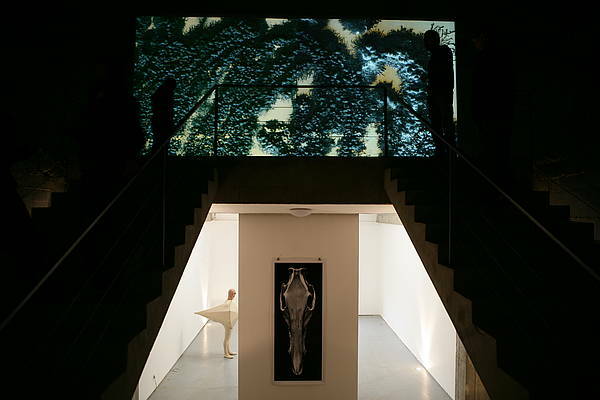 In the beginning of the performance of "Dry Sea" the greyish desert varnish is visible as "all-over"on the screen. 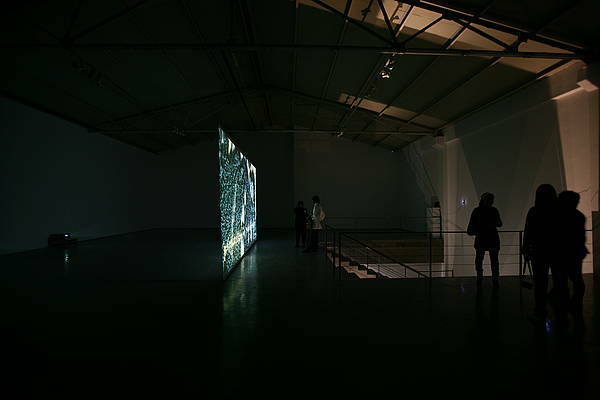 A camera records all visitors as long as they move behind the projection wall. This information is forwarded to a computer on which the images of the desert varnish are saved. The image files are controlled by a software which was specially developed for this installation. The more people enter the room, the more fragemented the image on the screen gets, the patina regresses, until it, resp. its image, has completely disappeared. The references and thought-provoking impulses the work provides reflect the sensitive ecological and economic balance which holds the world we live in and which is to maintain resp. to rebuild. With her visually impressive interactive installation "Dry Sea" Sabine Kacunko does not only visualize the mystic beauty of natural processes but also the efficacy of human actions.